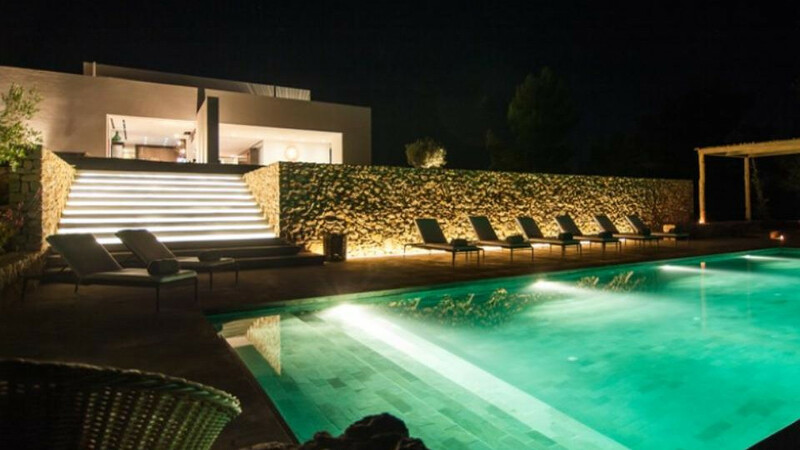 Elegant luxury villa with a plot of 25,000 square meters of forest and extensive gardens located on a hill with incredible sea views. Room, Ground level. This bedroom has 1 double bed. Bathroom ensuite, With bathtub. Room, 1st floor. This bedroom has 1 double bed. Bathroom ensuite, With bathtub, shower. This bedroom includes also fireplace, living area. Room, 1st floor. This bedroom has 1 double bed. Bathroom ensuite, With shower. Room, Terrace level. This bedroom has 1 double bed. Bathroom ensuite, With shower. Cinema room with projector and large screen coming out of the ceiling. Sky TV, Apple TV, etc. Large kitchen with high quality appliances (Nespresso, 2 ovens, ice maker, filtered water, etc.). Dining room with a table for 12 people. 18m x 4m heated infinity pool. Relaxing area with fireplace on the ground floor and another on the terrace with 360º view. 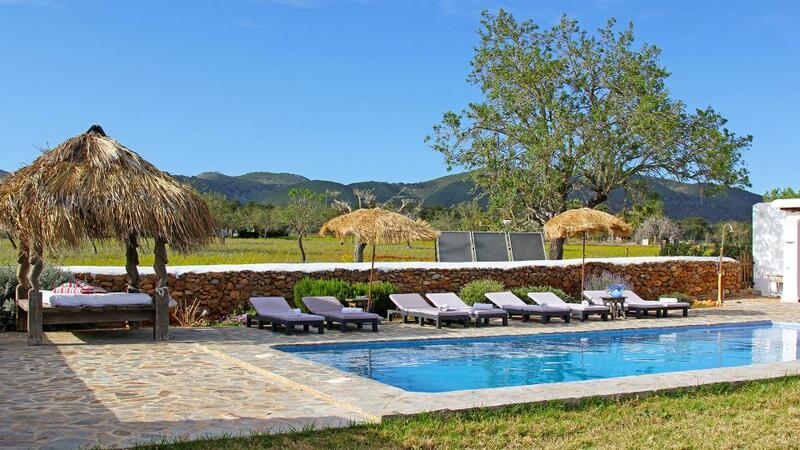 Located in the north of Ibiza next to the beach of Benirras, near the traditional market of San Juan. 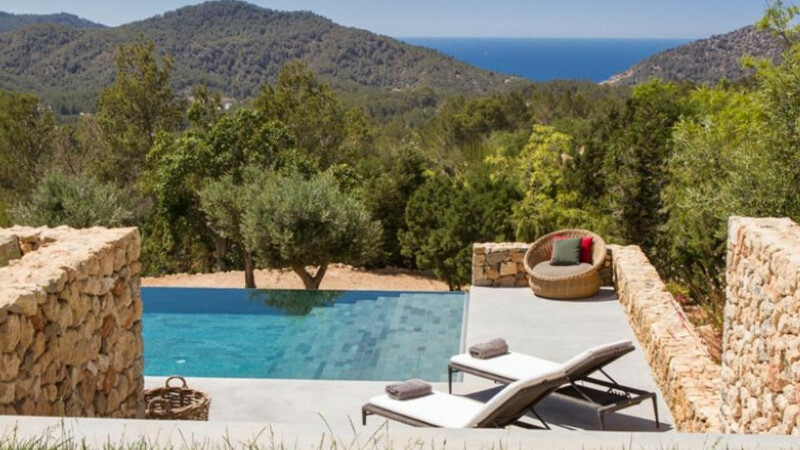 Location of the villa 5 minutes to San Juan, 10 minutes to Santa Gertrudis, 25 minutes to Ibiza Town and 30 minutes to the airport.